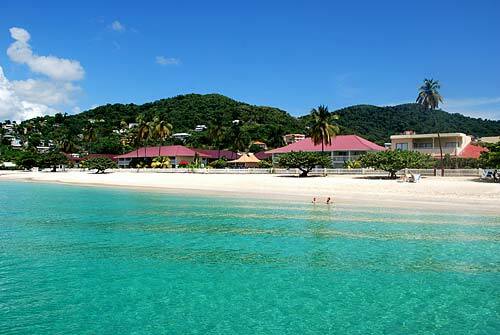 Fifteen new properties in Grenada will on Tuesday be presented with certification of compliance, in accordance with the 2003 Requirements for the Assessment, Licensing and Registration of the Accommodation Sector. As part of a Grenada Tourism Industry Certification Program, twenty-eight (28) accommodation facilities in Grenada will be recognized at an Awards Ceremony schedule to take place at the Conference Room of the Grenada Bureau of Standards. The Tourism Registration, Assessment and Certification Program is a joint initiative of the Board of Tourism, the Ministry of Tourism and the Grenada Bureau of Standards. It involves the certification of hotels, apartments, villas and guest houses in Grenada that have met the requirements of the national compulsory standard GDS 25: 2003 Requirements for the Assessment, Licensing and Registration of the Accommodation Sector. A team of officers led by the Bureau of Standards and including the Grenada Board of Tourism, the Ministries of Health and Tourism, the Physical Planning Unit and the Fire Department of the Royal Grenada Police Force audited these properties throughout the past year. The areas covered under the audit are General Requirements, Building Safety, Food Safety & Sanitation, Fire Safety, Furnishings & Finishing and Swimming Pools & other Recreational Waters. Among the fifteen new properties, is the Grenada Grand Beach Resort which will officially be rebranded to Radisson as of September. Others include in the 51 room Chinese operated Sagecoa International Hotel; the four room Mango Bay properties in St John; the 21 room Mount Cinnamon Hotel and the 29 room Kalinago Beach Resort.